Google recently started issuing promo codes for business plan users, this program is still available only for a selective countries like USA, Australia, UK, Singapore, Hong Kong, Netherlands, Japan, Germany, France, Italy, Argentina, Belgium, Ireland and Canada. Q. Do i get business plan code even if i have single user? A. Yes, there is no limitation on number of users for getting discount using promotion code. Q. Can i get additional discount if i purchase annual plan? A. No, discount is 20% even for flexible or annual plan. Q. Can i get discount when i upgrade my plan from basic to business plan? A. Generally you don’t get discount when you upgrade your plan but if you put this up with Google they may convert your account to 14 day business plan trial and then you can apply discount while converting into paid account. Q. Do you also provide coupon codes for basic plans? A. Yes, you can get basic plan promo codes as well from us. Q. 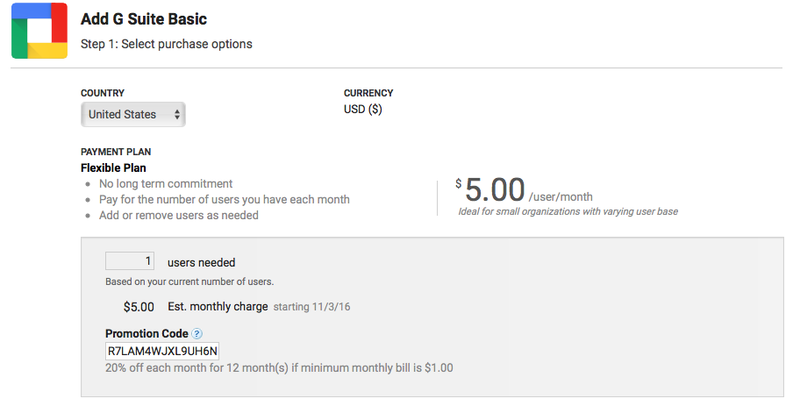 Is promo codes work when i convert legacy Google apps account to G Suite? A. Yes, they work on converting legacy accounts to G Suite. Q. Does these discount codes expire? A. Usually coupon codes we share will have a life of 6 months and after that they expire, you can get new coupons from us anytime. What type of Support services do you provide? You are probably too busy growing your business to focus on managing your server operations- until it is too late. You know the significance of data loss, security breaches and poor site performance that can negatively impact your business and lose sales. However, you may not have time or expertise to assure systems are monitored, secured and backed up 24/7/365. We are here to help. With more than a decade having expertise in managing day to day server operations IBEE Hosting has been renowned for excellent support services. We assure that your systems are updated, data backed up and performing optimally. We provide below- mentioned Server management services FREE of cost for its customers with its Dedicated server and VPS Hosting packages. In our managed hosting services we provide support for every problem or task, emergency or routine. IBEE Hosting provided managed services which cover complete support services like handling hardware, operating system(OS) and basic configuration issues in the server. IBEE Hosting also takes care of load issues or sluggishness, primary website related issues, network related problems, failure of the server to restart, reboot. We do take care of load issues or sluggishness, basic website related issues, network related problems, failure of the server to restart, hardware failure, package install via the package manager, basically named configuration for 1-2 domains, troubleshooting pre-existing configurations, basic task automation, basic firewall setup/troubleshooting and much more. We provide Managed services with our Dedicated Server and VPS Hosting packages without any fee. In semi-managed hosting we assist with re-installs of the Operating System and the control panel, adding additional IP addresses, configuring firewall rules, kernel upgrades, DNS management, assistance with common problems, etc. In an Unmanaged Hosting environment, the entire server administration and the responsibilities of necessary configuration and administration/management of the server are the responsibility of the end user. Users need to have some knowledge in the management of server and the technical know-how of the servers. IBEE Hosting will be responsible for replacement of failed components, reboot servers, maintenance of network and keep the lights on. No software or installation support can be provided. You install security patches and fix the weird error messages, and you are responsible for installing everything but the OS. IBEE Hosting provides the all the three types of mentioned server management support services with all its Dedicated Server and VPS Hosting plans. Host files are needed to resolve host name before DNS, on that particular machine. These are the large massive documents to aid the network name resolution. Modifying your host files causes your local machine to look directly at the IP address specified. To modify the host file, you add two entries to the file that contains the IP address that you want the site to resolve to and the address. Adding the following two lines, for example, point www.domain.com and domain.com to our current server. The preceding section will highlight the how to locate and modify the host file. Since Windows 10, Windows 8, Windows 7, and Windows Vista use User Account Control (UAC), so Notepad must be run as Administrator. Search for Notepad in the search field. As a search result, right-click Notepad and select Run as administrator. Open the following file: c:\Windows\System32\Drivers\etc\hosts through Notepad. Save the file by clicking on File and then selecting Save. Select Notepad to run as an administrator by right-clicking on Notepad. Click continue the Windows needs your permission UAC window. 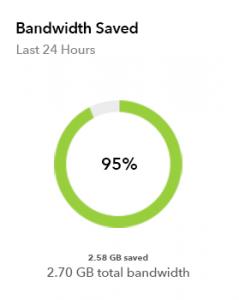 When prompted to save the changes Select y. To grant access to edit NetInfo database, click the padlock in the lower-left corner of the window. From the Edit menu, select Duplicate, It is the easiest way to create any new entry. An alert will appear asking for confirmation. Traverse the path Applications -> Utilities-> Terminal. The new changes shall now be reflected. Contact our support executive working for round the clock with immediate and proactive support services contact us at support@ibeehosting.com, 040-44254242. Cloud Hosting has revolutionized the whole Web Hosting Industries and thus unfolding the questions for hosting your applications or website makes a deeper sense to analyse the real facts. 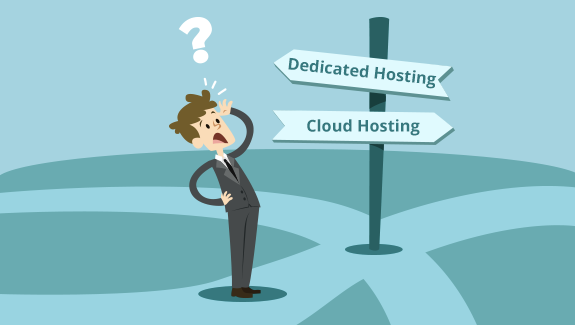 Paying attention to things to consider before making the decision for dedicated hosting or cloud hosting is of utmost important. Cloud Servers are popular with small and mid-sized businesses that have variable workloads and demands. These are the great option for optimizing IT performance without the huge costs associated with purchasing and managing a fully dedicated servers. Cloud servers can be configured to deliver the similar level of performance, security and control of a dedicated server but what makes them different with dedicated servers is “ virtualized” environment managed by your cloud hosting provider. Escalating economies of scale by sharing hardware with another customer by paying only the amount of server space on an hourly basis and enjoying the infinite flexibility makes them so popular among the SMBs. Dedicated servers heed the attention of the large businesses that requires high security and thus they purchased and maintained their owned servers as dedicated servers.These organizations have predictable demands that necessitate their servers to operate 24/7- 365. How rapid are the resources accessible online? With Cloud, servers resources can be accessed within a minute but it takes considerable time for about almost a week sometime in dedicated resources. 2. Can RAM, CPU and disk spaces be upgraded? Yes this is feasible in both the cases but the major difference between the both is that with Cloud Servers it can be done with few click and sometimes with automation APIs whereas in Dedicated Servers it is a manual process that requires a scheduled maintenance window. 3. Auto- scaling, auto-provisioning and auto- management tools available? Yes, Through community driven open Development API these tools are readily available while tools are available in the Dedicated environment but you have to wait for vendor-driven development. YES for both the sides. It is readily achievable in Cloud Servers.Can achieve do so by configuring HA environment quickly with multiple cloud servers and a load balancer within minutes and can cost up to 60% less in comparison.While In dedicated servers request has to be made for HA Environment within an infrastructure using multiple dedicated servers with a multiple load balancer and takes almost few hours to days time. 5. Are they compatible enough with the technological trends? Trends like BYOD, Gamification, Big Data analytics, DaaS are in the preliminary stage. If you want to upgrade to these in near future, then cloud servers fit in you. 6. Are Security and compliances needs to be addressed properly? These needs can be served better with dedicated hardware. Complete compliance with Security and compliance regulations can be best served by Dedicated servers and makes your choice right to go with dedicated servers. 7. Manage on the go? Android and IOS phones are compatible with the cloud servers. While in a case with a dedicated server, management is a manual process. 8. Can cloud resources and dedicated resources run in one environment? Here at IBEE we don’t propagate on the principle of one size fits all rather we concentrate on delivering solutions as per need. In Spite of cloud having the capacity to answer every business with variable workloads still they should also run dedicated hardware where needs arise. We at IBEE Hosting are concentrating on delivering high performance with our affordable hosting plans ranging from entry level to the most advanced for the SMBs in India. We cater on delivering the end to end solutions, we help them in achieving success in their projects by giving suggestions and best practices in making their applications successful in terms of marketing, coding, performance and experience. 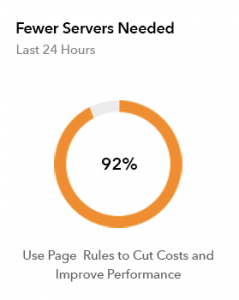 Combining the power of a dedicated server with the cloud server is the solution we are working on creating the compelling price-performance ratio. Know more about us at https://www.ibeehosting.com or call us know at +91 9652744233 for FREE Assistance. “The sum of all forms of video will be approximately 86 percent of global consumer traffic by 2016.” — Cisco Visual Networking Index: Forecast and Methodology, 2011–2016.’It exemplifies that the there is an enormous traffic potential for Media and Entertainment Industry. Media Hosting has a high need to have fast, secure, cloud-based viewing experiences for the customers. The growing global audiences for the media in any form demands the instant access to premium online media delivery, with excellent user experience on any device, in any location.A Media hosting provider helps in delivering uninterrupted compelling user experiences to visitors. Providing the online media content securely over the Internet increases engagement, monetizes audience and capture the opportunity is very crucial for the media companies. Delivering Fast, secure and excellent Experience to you visitors? Poor online media viewing experience can have a negative impact on your brand image and visibility. It can substantially reduce your potential viewers and losses in Internet ad and subscription revenues. Online Media content in the form of videos, audios, images, push notifications delivering in the fast and secure channel to your visitors. Pacing this fast delivery requires high computational power and storage containers. High computational power symbolizes to high-performance Web Server, serving the request and response cycle for the visitors and storage containers symbolizes database server which will serve content stored in any form- text, audio, video or any kind. Thus to stand out among the competitors and gain visibility and delivering high-end user experience, you need to backup your IT infrastructure with a powerful and robust server that processes queries faster, deliver content more quickly and handle multiple concurrent visitors. IBEE Hosting Enterprise Dedicated Server Solutions helps you monetize your online media audiences, delivering content securely while streaming across multiple devices and locations, and reinventing your media delivery distribution channel. IBEE Hosting solutions for the Media and Entertainment Solutions have proven results with its client; We have increased their traffic by 800% and growth in Revenue by 500%. We have an auto scalable solution for the Media companies that can meet your spikes in traffic. We have proven our ability to scale to meet the world’s demanding streaming video events and handling multiple concurrent users and enriching the real-time media analytics to understand the visitors experience. Free CDN Solution: As part of XBT Holding, IBEE Hosting offers CDN solutions from its group company UCDN.COM, by implementing a robust and geographically reliable premium CDN solution for your website, you can achieve significant improvements in website loading performance and customer experience. Low Latency and Premium Bandwidth: We offer full pipe up to 1 GBPS; this gives you an advantage of loading your website traffic even when it gets huge spikes in traffic when there is an incident you covered first. Also, our network is built on 40 gig switches of Juniper, which gives you the additional advantage of pushing your videos from any location much faster. Scalable Cloud Architecture: At IBEE Hosting, you can choose to have a variety of hosting solutions from dedicated to cloud, in cloud hosting, we offer a scalable architecture where you can upgrade or downgrade your infrastructure anytime you need. Mobile Ready Solutions: We understand our customer’s mobility requirements so well that we build scalable infrastructure solution that supports your mobile apps’ web services and push notifications, our expert service engineers are equipped and trained to understand your multi-device support and multi-platform requirements. 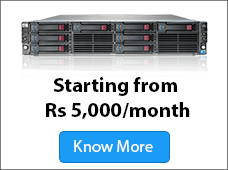 Andhrajyothy: Migrating to enterprise hosting to deliver High performance and Uptime. Scenario: When we take up the project it was hosted with a top cloud solution provider who also is a major e-commerce website in the world, it was co-managed by Andhrajyothy and a media solutions company, both the sides having issues in scaling the traffic and supporting the website when there is a spike in traffic. Problem: Epaper solution is managed and maintained by third party company, and every category or department have individual websites taking out a lot of manpower and duplicate content across the multiple channels, also having issues with mobile apps push notifications and services loading very slow. Solution: First we did an audit on the approach and user base for this company and came up with a solution as one website for all the channels and other sites will act as sub-domains but still maintained with the company instead of getting them outsourced. 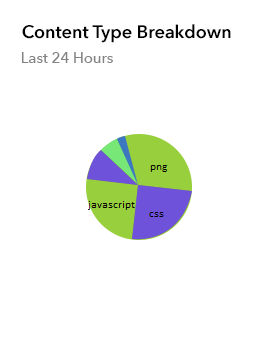 Once the solution for website and epaper/magazines ready we have implemented our CDN across the web properties to make it load faster as we have seen more 30% of traffic is coming from outside India we load images, JS and other media files from CDN and rest from high-performance redundant server architecture. Results: Once we finish all the setup, website started picked up the traffic, and we have achieved 800% growth in traffic within six months and 500% growth in revenue. Being proactive prevents failures! That proves right when it comes to your servers and its support. To make most out of your server and ensure the hassle free functioning of your business a daily/weekly/monthly check on your servers is necessary. Server maintenance prevents problems and ensures the smooth operation of the systems in place. Make time for these simple checks on your servers and use our server management solutions. Our proactive support services ensure 24/7 round the clock services to make sure that your servers are running at peak efficiency and that no problems are developing. 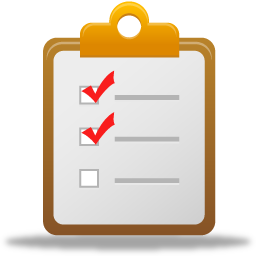 If you are managing your server here is the 10 point server maintenance checklist that can help you do the task efficiently. Backups: It’s a must to ensure that your backups and restores have been configured and confirm that they are confirmed to be working. Test on some data for your critical data to provide the recoveries is smooth to you. The backup location is the another major concern that requires your attention. Security: We recommend that at least once in a month you should check your server security. Risk mitigation can be ensured by testing the OS updates, system configuration and any other potential hazard elements that may creep in and affects your systems. Several tools like Third party server security auditing can be fruitful like CSF(ConfigServer Security & Firewall), CXS(ConfigServer eXploit Scanner ). Change your passwords at a regular interval of 4-6 months is also a good practice. Server Utilization: You need to check the RAM, network usages along with the hard disk and CPU efficiently. Test the limits allotted to you by your hosting provider so analyze whether you require server upgrades or the new service provider. Many third-party tools can help you monitor your server performance. Operating System: You need to keep a check on whether the new updates have are installed or not. Updates for Linux systems are released very frequently. An automated patch management tool can help you manage these update with an alert when a system is out of date. Systems are prone to hackers where the if you skip, and security update so make sure either to automate the updates or if you are doing it manually maintain a schedule. Control Panel: Control panel updates need to be at the regular intervals. Not only updating the control panel but upgrading the software that controls panel use is also important. For example. Only updating the control panel does not also update the basic Apache and PHP versions used by your OS. Hardware Errors: Overheating notices, network failure, disk read errors can be the indicators of serving the potential hardware failure. Asking your hosting provider the audits of the equipment can help you have a look at the operating conditions of the server device. You can even plan your datacenter visit, if possible, to understand the operating conditions and working, if it’s critical for you. Check Disk Usage: Data is crucial for every business units. If your disk usage is exceeding 90% of disk capacity that alerts you either to scrape out old logs, emails and software versions. As the capacity reaches 100%, your server may stop responding; database tables can corrupt, and you will lose data. Check application updates: Web applications account for more than 95% of all security breaches we investigate. Be sure to update your web applications, especially popular programs like WordPress. Monitor RAID controllers: Monitoring RAID controllers status is an important task for the server checklist. Roughly RAID fails in about 1% of servers per year though it seems so small still this chance can turn to server disaster. Miscellaneous: Checking remote management tools are important if your server is co-located, reviewing multiple accounts, logs, scans, testing server reliability are few other tasks that can be accompanied with the above checkpoints. We recommend to follow the preventive server maintenance regime and to reduce the risk of making your server invulnerable. It’s better late than never; your business relies on your server, or if you are leveraging the services of the hosting provider, these are the must checkpoints you need to gauge on for outperforming your business operations. We recommend to automate your server maintenance and if not possible, maintain a schedule for manual server maintenance. A sluggish website often suffers from the poor retention rate for their website visitors. Content Delivery Network offers to solve the problem of poor response and low performance of the website visitors. Though the performance of the website visitors often depends upon the internet connectivity at the user end and network congestion and many more. Many enterprises and the online businesses are adopting CDN to deliver the content to the user anywhere within the world-wide-web. The growing number of internet users across the globe is estimated to be around 3.5 billion by this year and will continue to increase. Enterprises are viewing this as a great opportunity to strive in the market and reach these billions of the customers across the continents and geographical boundaries. To suffice the challenge of delivering the content efficiently without the slack time and efficiently. However, there are several bottlenecks when delivering the content over the vast distances without compromising the performance of the websites. When a user makes a request, it is processed by the origin server, and the response travels all the way back to the user, may be over the long distance. It takes time for the user to receive the response. The slow response to the request made can be due to network congestion or due to the heavy load on the web server. The perception of the user is the poor website performance as the request, and the response cycle takes long to process. The internet connectivity can be a major curse for this delay. Content Delivery Network(CDN) service presents and the ideal solution to improve the speedy delivery of the content to users for ensuring efficient website performance. A content delivery network (CDN) is an interconnected system of cache servers that use geographical proximity as criteria for delivering Web content. The origin server replicates the content from the multiple cache server to help fetch the requested content and significantly reducing the page-load time. For instance, the delay in web page response for an e-commerce website is not acceptable. “Customer is gained or lost in one second” notion explains a one second delay can result in 16% decrease in customer satisfaction( Report on web Application) and further a delay of a second can impact overall corporate revenue up to 9%. This figure shows the intricacies involved in the website performance that can impact the heavily and arise the need to optimise the website performance. CDN can pose an essentially workable strategy for the enterprises interested in serving the global customer base. These services are available from data centers or implemented within the company’s network. CDNs push the Edge Network closer to end users. The Edge Network grows outward from the origin server by the addition of co-location facilities, bandwidth, and servers. CDNs choose the best location for serving content while optimising for performance. They may choose locations that are the fewest hops or fewest number of network seconds away from the requesting client. CDNs choose the least expensive locations while optimising for cost. Benefits of adopting CDN Service in the existing web-based applications and infrastructure. Global Reach: Whether you are an e-commerce or a startup catering to customers online with products and services you want to reach billions of your prospective customers. CDN services offer a content delivery to the user in any geographical region efficiently thus eliminating the delay and interruptions in the response. Better Response: Every business with online sales required speed to attract the customers. Loading time of pages can significantly hamper the sales and can resentment in customer satisfaction. CDN can ensure the significant improvement in website response time to enhance the customer experience. Availability with minimal packet loss: Duplication and distribution of content over several geographically diversified cache server across the World-wide-web can help strategically optimise the network capacity and server concurrent users efficiently. It ensures the 100% availability of the information even during network or hardware failures. The user has access to the information without any disruption ensuring high-quality service. 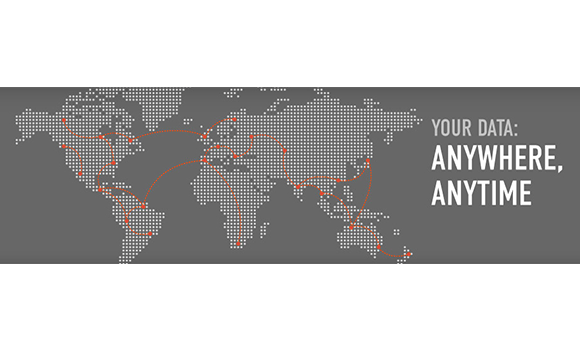 Better Serviceability: CDN ensures the better control of the content delivery and the load on the network. Trends regarding the website usage serve as a valuable analytics and CDN show the active usage regions to discover the patterns of customers. The marketing team can use this data better target their marketing activities. Cost Benefits: Hosting a website at multiple locations and investments incurred in the infrastructure can be eliminated through the CDN. Availing single platform to reach the geographically diversified customers can cost more which is reduced by the CDN. CDN accelerates the web content to be delivered efficiently without any delays and jitters and increase the website’s performance for the visitors to lead in user satisfaction and ultimately business value. IBEE Hosting has its own CDN as http://ucdn.com operating with two pops in India- Mumbai and Hyderabad. Our CDN cached the file from the static server. On average, a website on IBEE Hosting loads twice as fast for its visitors, sees 65% fewer requests and saves 60% of bandwidth. You’ll be able to see the exact speed benefits and savings with your personalised analytics report for your site. Have you ever encountered the peaks of unexplained access by examining data from Google Analytics for your website? Or have any significant increase in access to the site requires your attention with worsening performance? 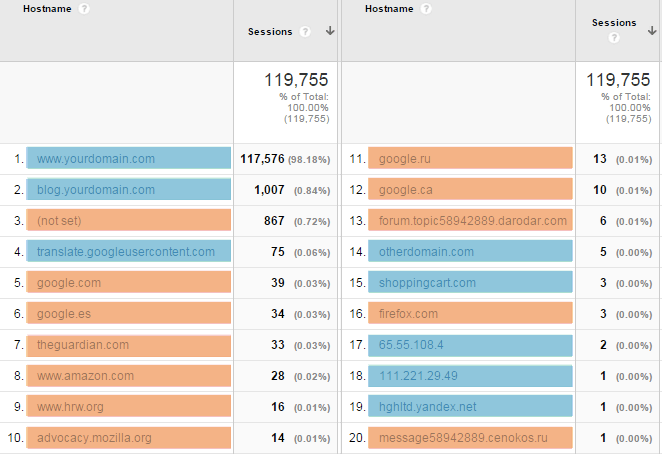 These sprouting number of spams in Google Analytics are rendering the reports useless for further analysis. An alarming trend of referral spam creeping in Google Analytics makes you more vigilant over the issue and how to fix it for better data insights. Due to flooding Referral Spams from social buttons and many other sources people are now combating the issue by applying filters to manage the useless data they are receiving. 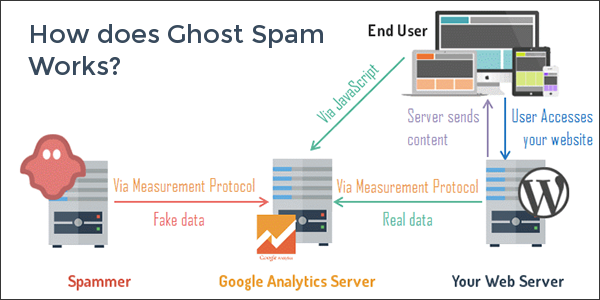 With Due regards to Google Analytics, there are two flavors of Spam: Spammy Web Crawlers and Ghost referral traffic. 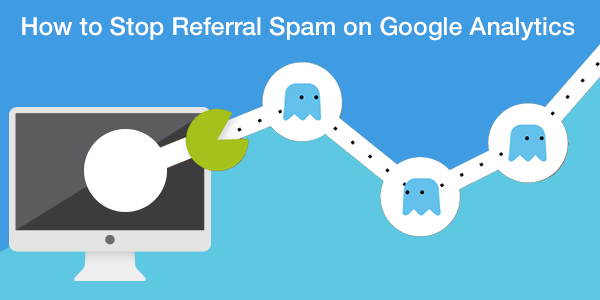 Ghost referral traffic being the majority of the spam with so-called ghost nature never access your website. It might seem wonder to you but since they never access your website, they do hamper the Google analytics that monitors your website traffic.The rocket science behind this is that they uses the measurement protocol, which allows the user to send data directly to Google Analytics. By using this, generally spammer generates a random code and leaves a “Fake VISIT” without even knowing who they are hitting. Crawlers in contrast to ghost referral traffic they do access your website and has a prominent presence in the Google search pages. These spams crawl your pages by ignoring the rules like robots.txt that are supposed to stop spiders from crawling specified pages. When they visit your website, they do leave imprints of the legitimate visit thus polluting your reports. Check in the list that might help you identify spams of either nature. How to detect referral spam? The easiest way to detect referral spam in Google Analytics is identifying the unusual and suspicious referrals that don’t have any real reference to your website. You want to refrain them visiting your site to be sure you can use the data they leave in your reports. -In the Google Analytics admin window navigates to Reporting Tab. -Select All channels by expanding all Traffic. -Click on Secondary Dimension type Hostname and select. The Ghost Referrer Spam have an invalid hostnames since they are untargeted whereas the Crawlers Referrer spam, on the other hand, holds a valid hostname. 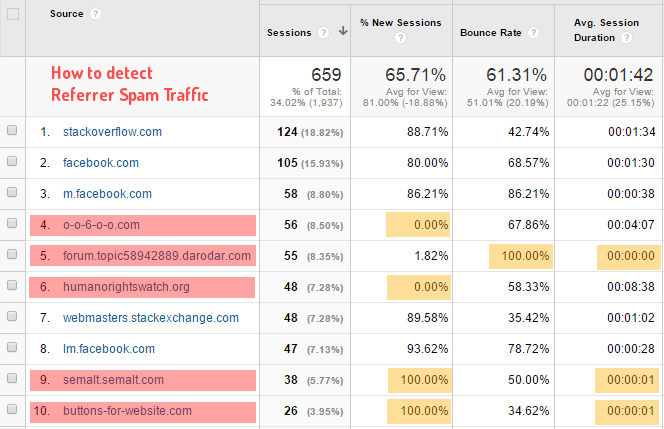 The other way to notice Referrer Spam is by checking the page they are targeting. The targeted page could be either the Home Page (identified by a slash) or a fake page that doesn’t hold any relevance to your website. – Spam either accounts for a high or low numbers. 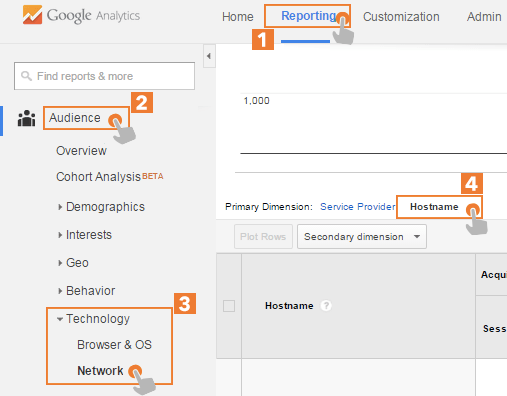 – Navigate to reporting section in your Google Analytics account. – In the Lateral Bar Select acquisition tab. – Select Referrals by expanding traffic. – A table like below will turn up. Check with referrals that have numbers like 0% or 100% in new sessions or bounce rate, or average session duration of 0 or 1 Second. Ghost spam is easier to detect as they use the fake data whereas the crawlers are little cumbersome to analyse. 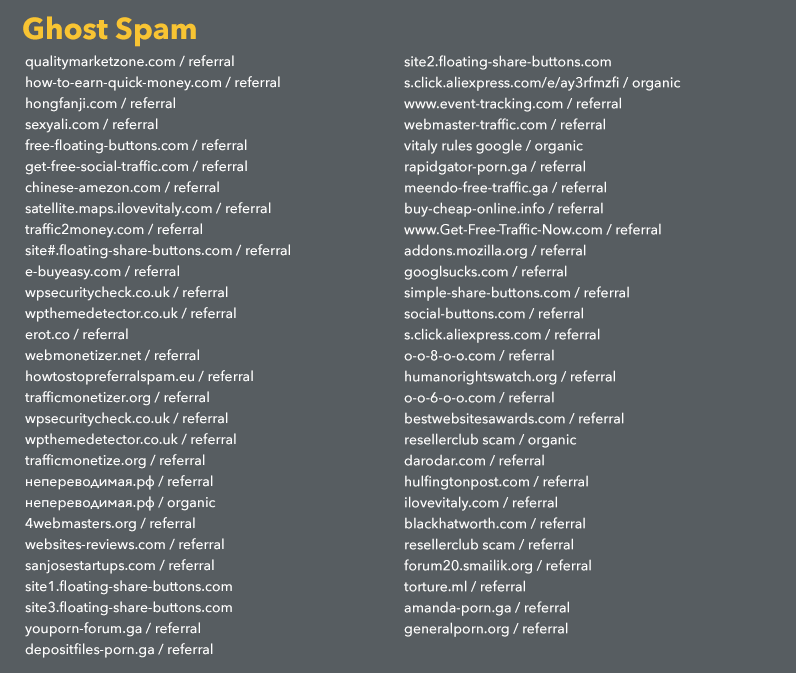 If you still hold the confusion to analyse the referral spam you can access the updated list for the prominent suspected spams. 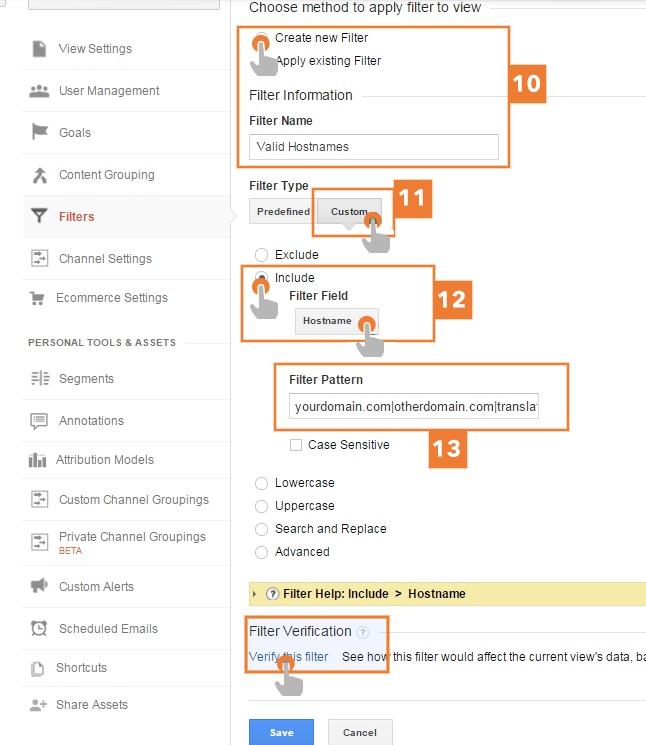 You can go through the valid hostname filters in the Google analytics to stop the Referral Spam creating disasters in Google Analytics report. It will take care of all ghost spam in any form ( Referral, Organic or Fake visit). Valid Hostname filter is one in a way most efficient filter than the rest of the options available. I haven’t encountered any spam since applying this filter months ago thereby strongly recommend this for use. There are huge advantages of this method over the other. 2. You require only one filter to stop the spam, instead of creating several subsets of filters for the spam as in other options. 3. This Valid Hostname filter will stop ALL the ghost spam in any form whether it shows as a referral, keyword or direct visit. The Most important part of the solution is to work upon the valid hostnames to not exclude any licit traffic. Note: As a best practice you should always have a view without filter no matter what are the filters for, so if you don’t have one I recommend you to create one. Prerequisite is to have a list of your hostnames. – Visit the Reporting tab in Google Analytics account. – Within the Lateral tab select the Audience. – Expand technology and Select Network. – At the top of the report be sure to select the Hostname because the default you service provider is selected. – When you land in there, you will see a table like this and among these find and copy all the Valid Hostname. -After gathering the valid hostname, you must create an expression that matches all of them. The complexity of expression can range depending on the age and size of the website. If you have subdomains you can omit adding all of them if you are adding yourdomain.com; it will match any subdomain of yours like blog.subdomain.com or support.subdomain.com. After generating the regular expression, you should add it to an INCLUDE Hostname filter. – Now in the Admin tab select View where you want to apply the filter. – Select Create New Filter and enter the valid hostname filter as a name. – Within the Filter type choose custom. – Be cautious you choose include and select Hostname from the dropdown. – Finally paste the expressions that you built with the valid hostname in Filter Pattern. I strongly recommend verifying the filter before application to save time on testings and protecting your data. Its better to verify data before saving. A table will appear showing you sample data of before and after application of data. Confirming the data validity, you can proceed to save the filter. After soliciting the invalid data, you can save the filter. The filter you created doesn’t require much maintenance. It is very important that every time you add a Hostname or include your tracking-ID in any service, you need to include it at the end of the regular expression. Either it is a webmaster, marketing manager, blogger or a site owner who are investing valuable time and resources cannot afford disrupted statistics altered by spam. Monitoring and continuously optimizing the marketing actions are the main building block of each online strategy; thus the analysis must rely on accurate and reliable data. Henceforth there is an immense need for the spam free google analytics report. If you have any doubt about that, contact us now!